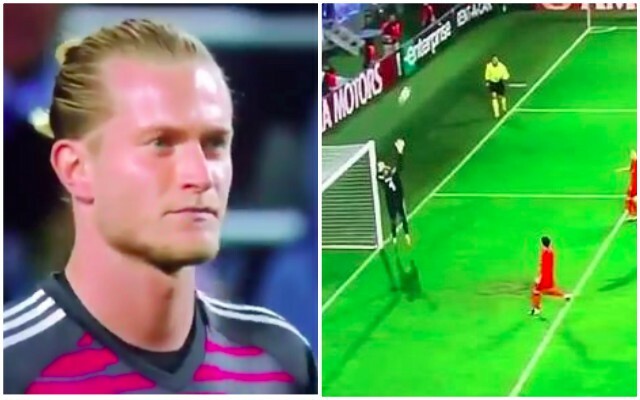 Loris Karius had put in a few decent performances for Besiktas over the past few weeks, but last night, the German stopper had another one of those moments that he’s unfortunately become defined for. His loan club lost 2-0 to Malmo in the Europa League, with one of the goals 100% his fault. An attacker from the Swedish club tried to swing a cross in from the right, but it cannoned off Caner Erkin and somehow ended up lobbing Karius, who was perfectly placed to catch the ball or at least deflect it over the bar. It’s shoddy, shoddy goalkeeping, to be honest. We want Karius to do well in Turkey, but moments like this will not help. You can see the stopper is visibly embarrassed after the blunder. We’re just very glad we now have Alisson to rely upon.